Downtown San Diego is fast becoming known for its incredible food, bustling nightlife, and diverse culture. With so many options for your next meal out, it can be daunting to pick just one – but on Thursday, September 15th, from 5:00 p.m. to 9:00 p.m., you don’t have to! 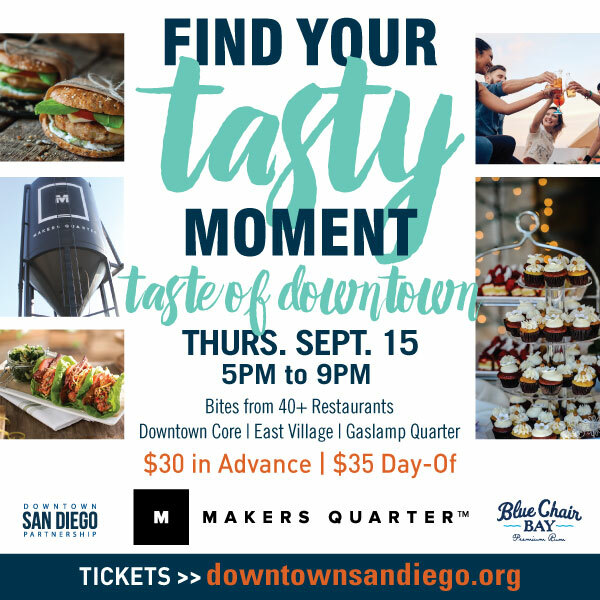 The Taste of Downtown, sponsored by Makers Quarter, offers you the chance to sample bites from 40 different restaurants throughout the Gaslamp Quarter, East Village, and the Downtown Core. For those 21 and up, Blue Chair Bay Rum will be shaking up cocktails at several restaurants to accompany their tasty offerings. Taste of Downtown tickets can be purchased in advance for just $30, or $35 the day of the event. WHERE: Will call will be located at Rustic Root at 672 Fifth Avenue, 535 Fifth Ave, San Diego, CA 92101. Participating restaurants are located in the neighborhoods of the Gaslamp Quarter, East Village, Downtown Core District, and Headquarters. SHUTTLE: Old Town Trolley will be available throughout the evening to transport tasters to each area and neighborhood of the Taste of Downtown. With more restaurants added daily, below is a list of participating Taste of Downtown restaurants. Restaurants with an asterisk are featuring cocktails for those 21 and up! 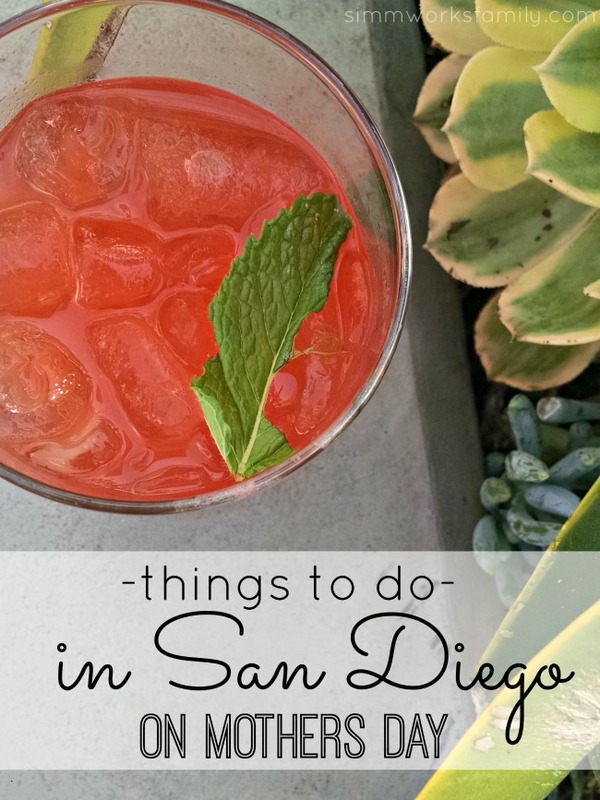 Check out San Diego’s thriving downtown dining scene! The Downtown San Diego Partnership invites you to treat yourself and go guilt free. 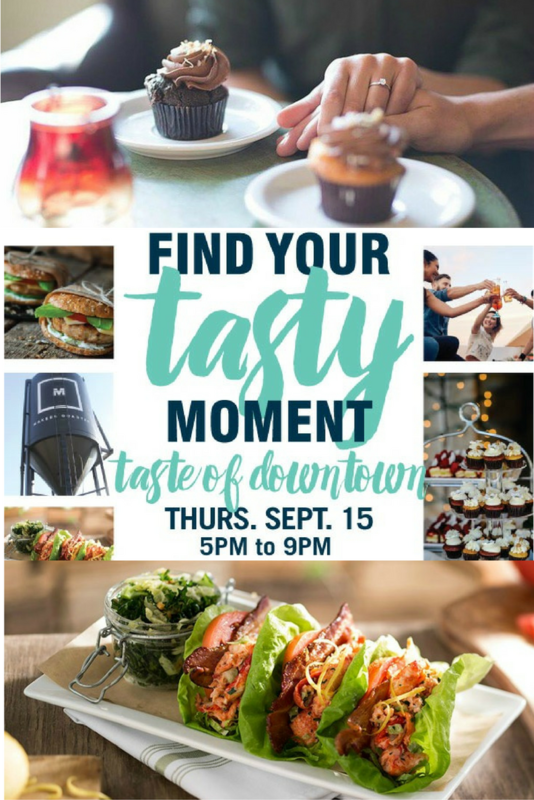 This tasty evening out will give attendees the opportunity to enjoy a tasting tour of Downtown’s favorite restaurants and new additions. What restaurant are you most looking forward to trying out? I’ll be giving away a pair of tickets on Facebook this afternoon so keep your eye out! Last Saturday marked the grand opening of Extraordinary Ideas from Ordinary People: A History of Citizen Science, a brand-new, permanent exhibition at theNAT. 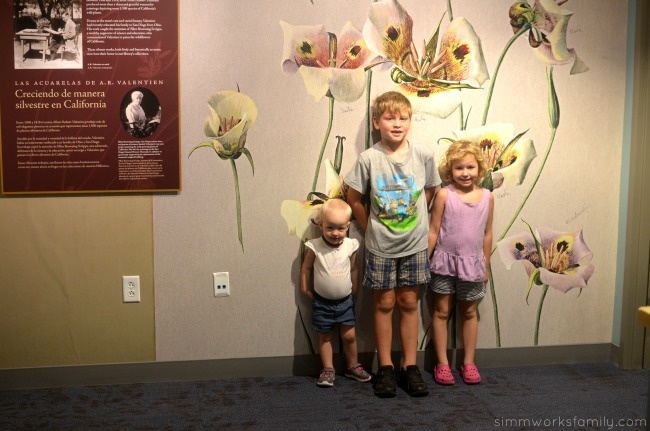 The kids and I were invited to check it out a bit early though so we headed over to the museum last Friday to take a peek. As soon as we walked in one kid went one while while the other headed the other way. And boy were they excited to find that not only were there cool items on display, there was also a little book nook upstairs just for them in the Dragon’s Den. Located in the new Eleanor and Jerome Navarra Special Collections Gallery, Extraordinary Ideas was developed from the ground up by the Museum’s exhibits staff. The exhibition features approximately 70 rare books, works of art, and photographs from the Research Library’s 56,000-volume collection that demonstrate how everyone can participate in science. 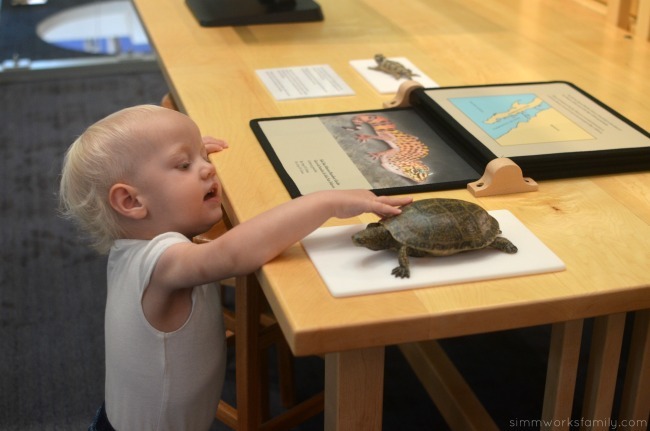 Exhibits will also include plant and animal specimens, touchscreen interactives, and touchable models (perfect for little hands). TheNAT was founded in 1874 as the San Diego Society of Natural History by a small group of citizen scientists who had a passion for the natural world. They dedicated countless hours to documenting their observations of the flora and fauna in San Diego County. Extraordinary Ideas helps tell their stories by featuring exhibits that showcase works that resulted from their devotion to the natural world. For example, Laurence Klauber, who is featured in the exhibition, is a locally known amateur naturalist who was the chairman and CEO of SDG&E, and in his off time focused on studying reptiles. In the field of herpetology, he left his mark as the world’s leading authority on rattlesnakes. Klauber donated 36,000 reptile and amphibian specimens to theNAT, including the most comprehensive collection of rattlesnakes in the world. In addition to the main exhibition, there is an upper mezzanine featuring two smaller galleries. The first gallery showcases exquisite original watercolors of California wildflowers by renowned artist A.R. Valentien. The A.R. Valentien gallery will display approximately 10 paintings at one time from the 1,094 pieces the Museum has in its collection. The second gallery is named the Dragon’s Den and houses a fantasy book nook designed specifically for children with comfortable seating and antiquarian books depicting dragons and other mythical creatures. The exhibition is on Level 3 of the Museum, and the entryway is clearly marked by a dramatic pediment featuring a griffin, a mythical beast whose image is found in many early natural history encyclopedias. 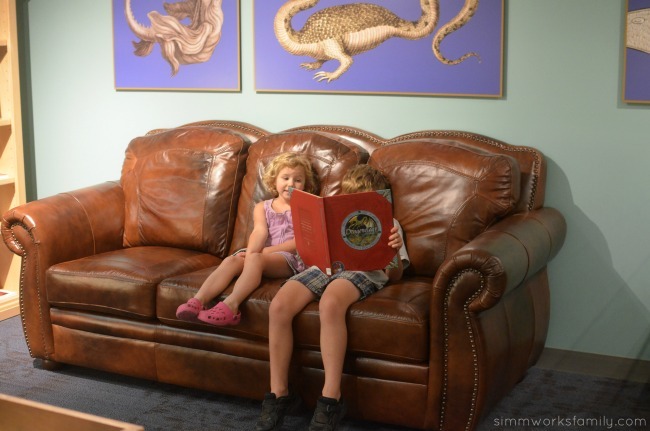 As visitors approach, they will notice larger-than-life natural history books, replicas of 10 books in the Museum’s collection. Once visitors enter the space, they are greeted by wallpaper murals of marbled end papers, a design detail included in many of the Museum’s rare books. To preserve the condition of the featured objects, each gallery is climate- and light-controlled. An extremely rare copy of the gigantic Double Elephant Folio of John James Audubon’s Birds of America. The folio, one of only a few intact copies in existence, depicts life-size renditions of a wide variety of North America’s birds. Gorgeous, oversized murals featuring illustrations from rare books, including a Reddish Egret from the aforementioned Birds of America as well as a stunning mural fromHistoria Naturalis Ranarum, a book from 1758 about the natural history of frogs. Exhibits on naturalists—both past and present—featuring rare books alongside specimens from the Museum’s research collections, touchable objects, and multimedia experiences that allow deeper access to the works on display. The top of the Foucault pendulum, which was installed in the 1950s and has been restored and adorned with a new, modern casing. Exposed skylights and other stunning architectural elements from the original 1930s building. Extraordinary Ideas will show visitors how they can contribute to the Museum’s research efforts by submitting information on various digital platforms, one such platform being theAmphibian and Reptile Atlas of Peninsular California, a binational effort to understand the biodiversity of amphibians and reptiles from southern California and Baja California. The Research Library’s resources that are not on view in the exhibition continue to remain available for research purposes. For more information or to schedule an appointment, please visit theNAT’s website or call 877.946.7797. When was your last visit to theNAT? The Museum is located at 1788 El Prado, San Diego, CA 92101 in Balboa Park. For more information, call 877.946.7797 or visit sdnat.org. Follow theNAT on Twitter and Instagram and join the discussion on Facebook. 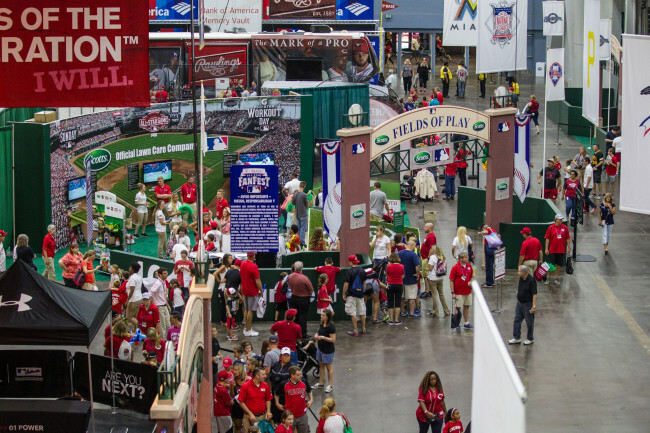 MLB All-Star FanFest Coming To San Diego! More than 40 legends of Major League Baseball and the San Diego Padres will make appearances at MLB All-Star FanFest at the San Diego Convention Center. 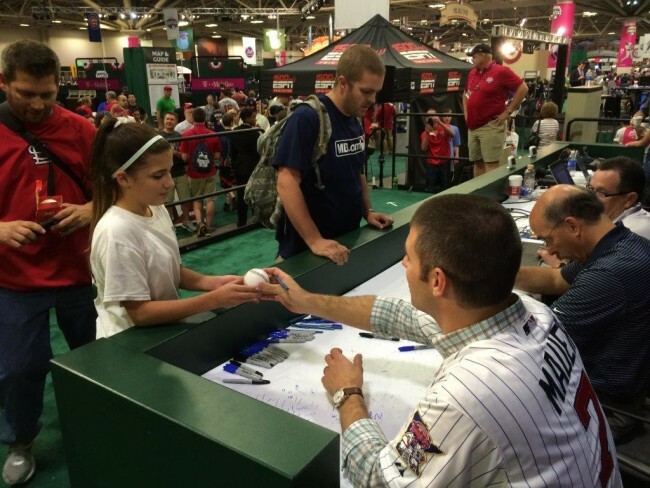 Fans will have the opportunity to receive free autographs and participate in question-and-answer sessions and clinics led by the former players, all included with the price of MLB All-Star FanFest admission. Another activity surrounding FanFest is Play Ball Park. 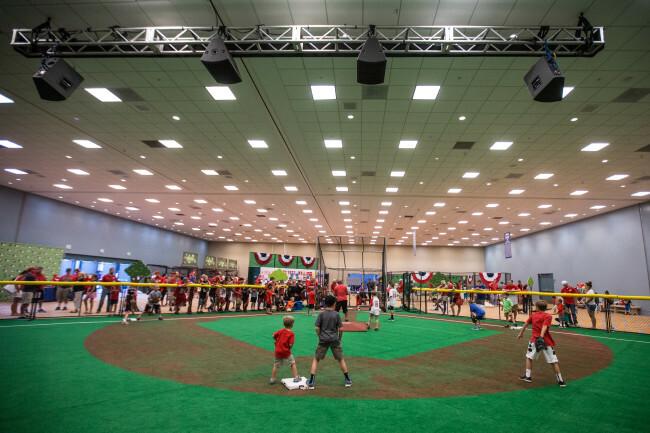 Located in front of the Hilton Bayfront, the inaugural PLAY BALL Park will be a nearly 80,000 square foot outdoor location that will operate Thursday, July 7th through Tuesday, July 12th. This baseball diamond will provide fun, engaging and educational activities for youth baseball and softball players and their families. 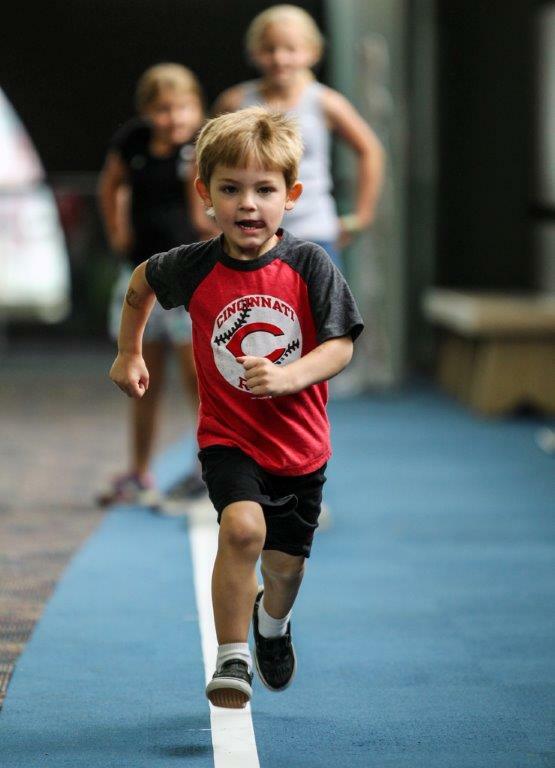 And don’t forget to sign up for yoga and the All-Star 5k! More details here. Since FanFest is fast approaching, we don’t want you to miss out on the fun! 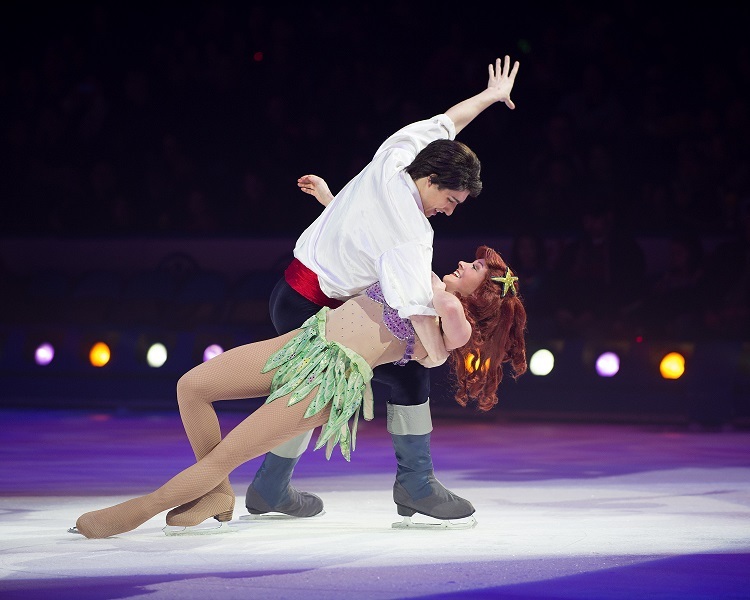 Enter to win a family 4-pack of tickets to this awesome event below! The nine-week film festival takes place at 10:00 a.m. on Tuesday and Wednesday mornings. 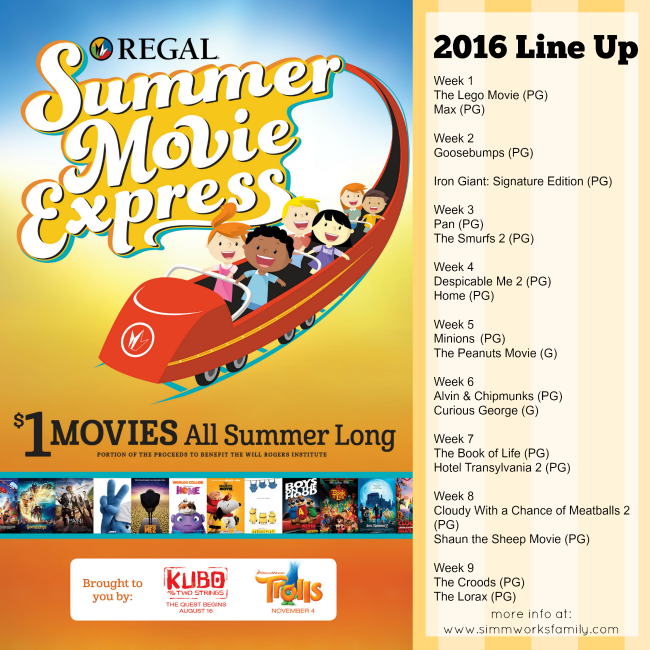 The start dates for Summer Movie Express vary based on local school schedules. A portion of each $1 admission goes to assist the Will Rogers Institute. 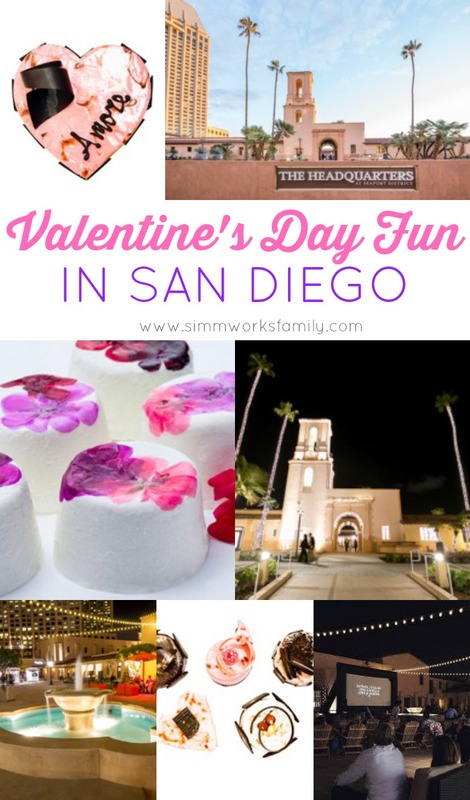 In San Diego? Click on the link below to print a PDF of your local theater’s schedule. 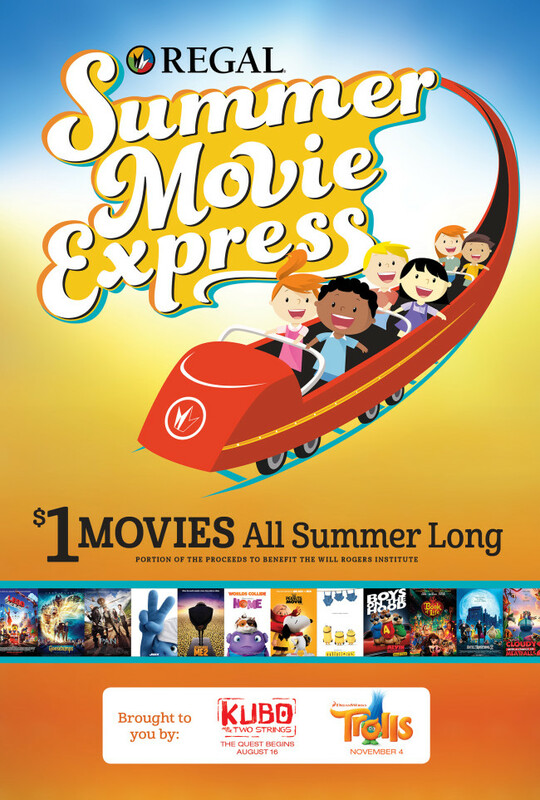 For a full list of participating locations, local festival dates and for more information, please visit www.REGmovies.com/Movies/Summer-Movie-Express. What movie will you be heading out to see with the kids? 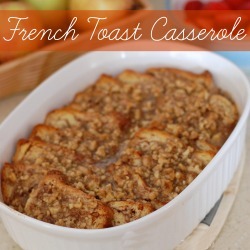 Looking to shower mom with love and a delicious meal on Mother’s Day? 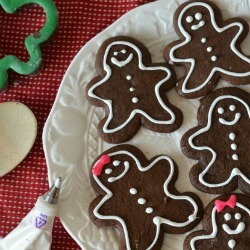 Check out these great local eats perfect for Mom and the whole family! 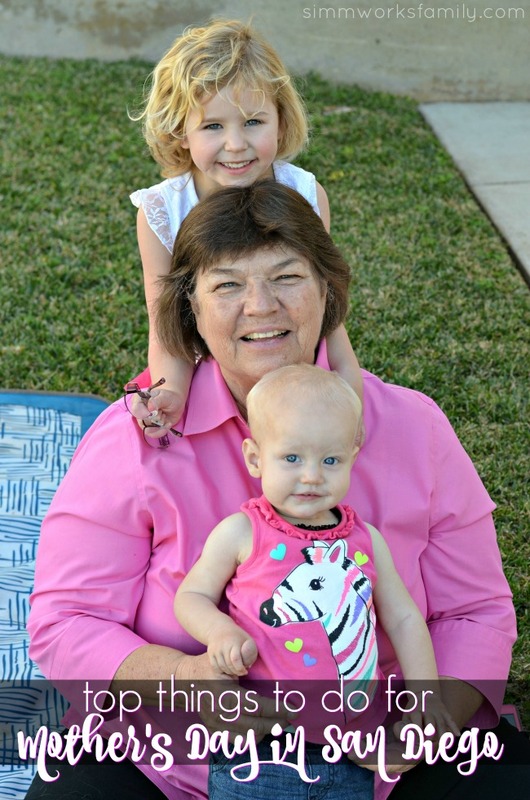 From Coronado, to Downtown San Diego, to Del Mar, Mother’s Day is covered! And if you need gift ideas, scroll down to the bottom for some great suggestions. If you decide to go to our pick this year – the Westgate Hotel Mother’s Day Champagne Brunch – then make sure to head right around the corner to The Headquarters afterwards for some great shopping and entertainment! 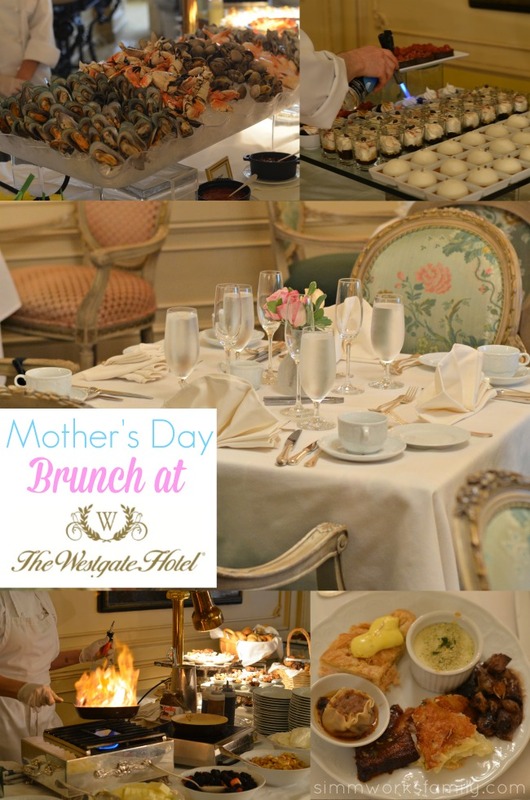 Served in the hotel’s beautiful Fontainebleau and Versailles Salons, the Mother’s Day Champagne Brunch at the Westgate Hotel will feature made to-order-omelets, fresh seafood, gourmet plates, carving and crepe stations, baked breads, pastries and a variety of gourmet desserts. In addition to the delightful unlimited feast, the Imperial Bar will serve freshly squeezed juices and endless champagne, mimosas, Bloody Marys and margaritas. Mother’s Day Champagne Brunch reservations can be made by calling 619-557-3655. 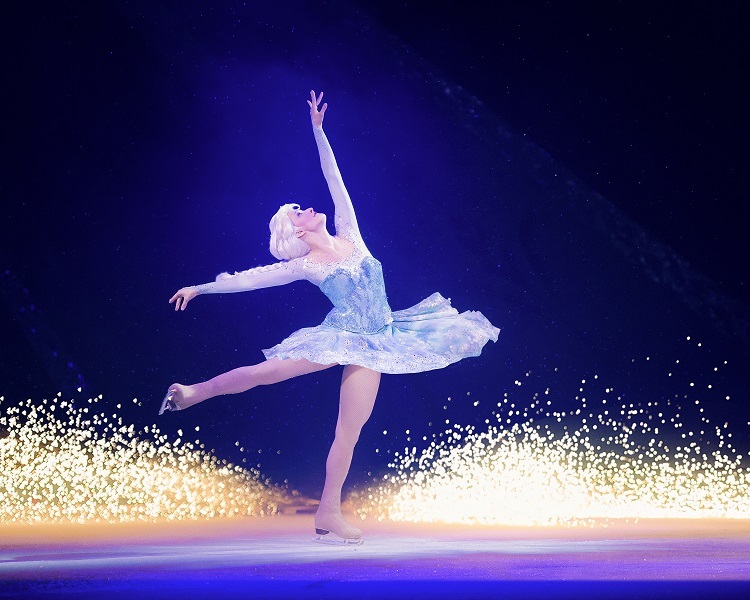 Price: $79 for adults and $39.50 for children under 12 (plus tax and gratuity). Enjoy brunch at Mister A’s, which is just minutes from Downtown and features beautiful views. Entrees include Buttermilk Fried “Chicken And Waffles” or Eggs Benedict With Fresh Crab Meat Or Pork Belly. Price: $120 for adults and$45 for children ages 6-10 in the Crown Room, $110 for adults and $43 for children ages 6-10 in the Ballroom. Children 5 and under eat free with paying adult. A limited menu will be served from from 1 – 5pm. Moms ordering from this menu will eat for free! 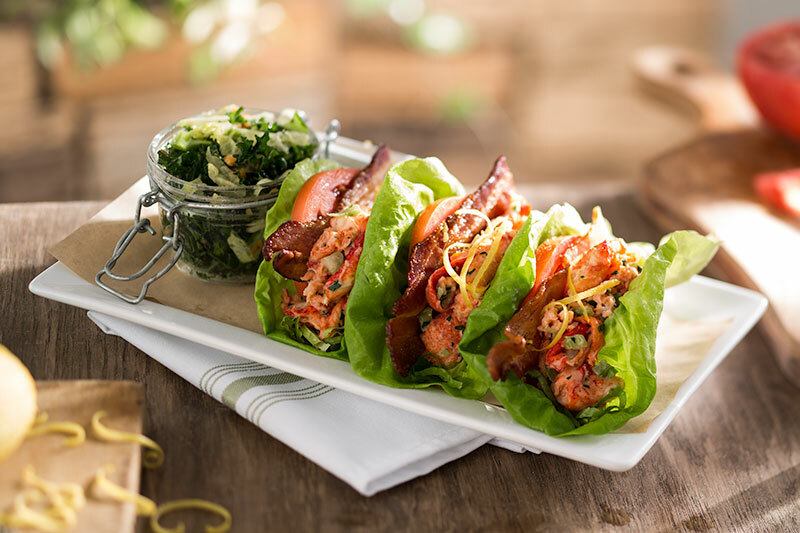 Price: varies, you can view the menu HERE, Moms ordering from this limited menu will enjoy their entrée for FREE! Mother’s Day is the last day to experience the beautiful Flower Fields this season. Enjoy beautiful views at one of San Diego’s finest restaurants. Entrees include Steak and Eggs, Free Range Eggs Benedict with Blue Lump Crab Cakes and Smoked Salmon Scramble Omelet. 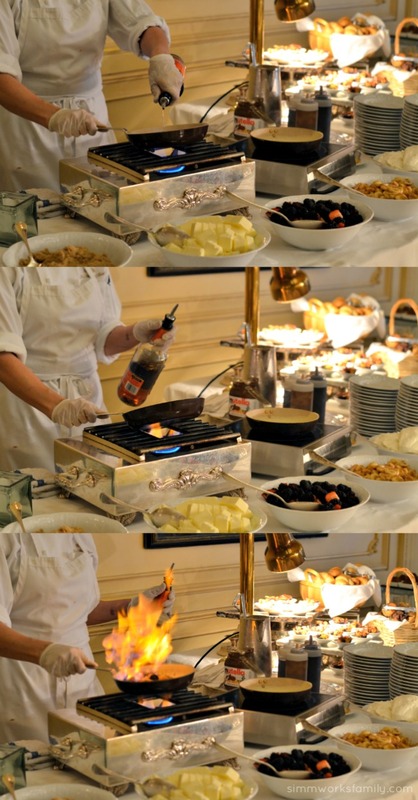 Enjoy brunch inside Sea World, with a french crepe station, omelet station, french toast, bagels and much more! Enjoy delicious entrees such as Baked Brioche French Toast, Prime Rib with a Trio of Sauces, Porcini-Crusted Filet Mignon and more! 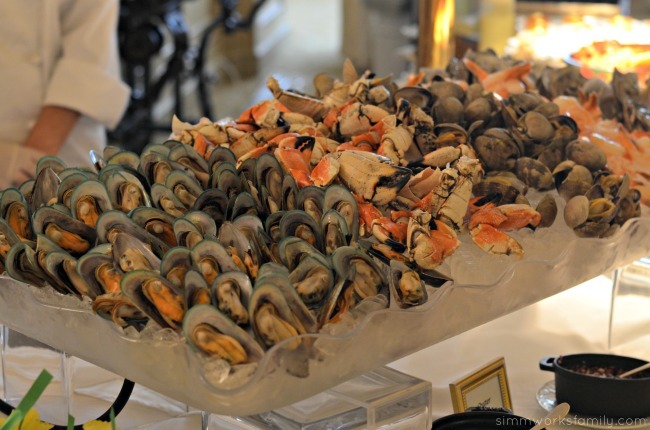 From 11 a.m. to 3 p.m., treat Mom to a decadent three-course brunch with standout menu items including an Alaskan King Crab omelet, lobster quiche Florentine, pan seared steak and eggs, and house baked fresh cinnamon rolls. Raise a glass with classic mimosas, Bellini’s or Bloody Marys. The newly introduced brunch features seasonal favorites like a vegetable frittata with roasted red peppers, mushrooms and grilled asparagus, a brick oven brioche French toast with blueberry infused syrup, and a Shakshuka with chorizo and crumbled feta. Sit out on the newly redone patio to enjoy the beautiful San Diego sunshine. For the foodie: You can’t go wrong with chocolates and cheese. Dallmann’s Fine Chocolates offers a Wine & Chocolate pairing box with locally made chocolates selected to pair perfectly with red and white wines ($20), while Venissimo Cheese has a huge selection of cheese from around the world as well as beautiful cheese supplies like this olivewood board and knife perfect for the hostess ($65). For the art lover: Aaron Chang’s world renowned 12×12 prints of San Diego scenery, tropical landscapes and beautiful orchids make a memorable gift at a great price ($150). For the fashionista: From Free People to Dolce Vita and everything in between, Madison San Diego is a great spot to find tops, shoes, bags and jewelry. Top picks include these gold Brighton necklaces ($78) and bright Hobo clutches ($110). For the book worm: Geppetto’s has a number of customizable books for little ones to surprise Mom and Grandma with including “What I Love About Mom” ($10) and “Grandma is a Super Hero” ($10). In addition to being a great shop for beautiful cards and gift wrap, Seaside Paper has a fun “Q&A a Day for Moms” journal to fill out over the course of five years – as the journal fills, it becomes a loving capsule of memories ($16.95). What are your Mother’s Day plans? I have a confession to make. I love brunch. Like absolutely love it. From the amazing food to the day drinking to the ambiance, brunch was made for me. And I may or may not have shared that love with my five year old daughter. Sans the day drinking, of course! So when I was invited to come out to The Westgate Hotel and indulge a little in an amazing meal I couldn’t say no! And what better time than right before Mother’s Day? I don’t know about you, but the only thing I ask for on Mother’s Day is for my family to take me out to brunch and to have a clean house that day. Simple things. But this brunch? Wow. 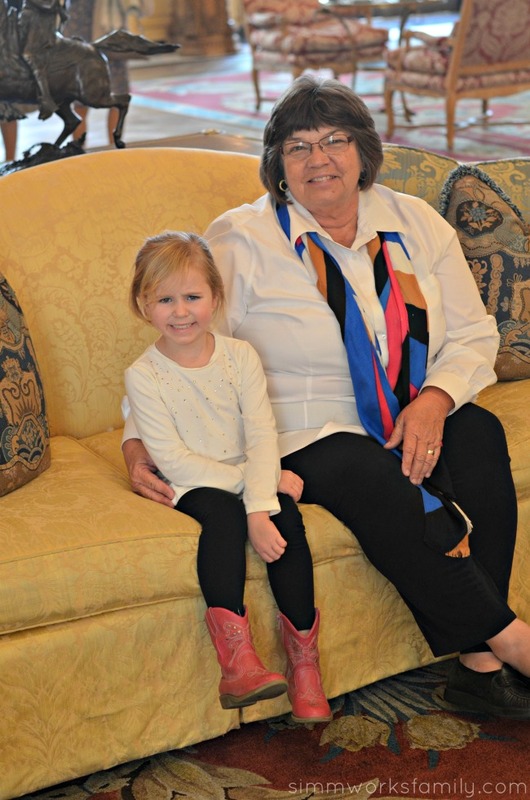 I invited my mother-in-law and my daughter (of course) and it knocked our socks off. I would truly feel honored if my family took me here to treat me on Mother’s Day. As soon as you walk into the hotel you’re greeted by smiling faces helping you find exactly where you need to go. 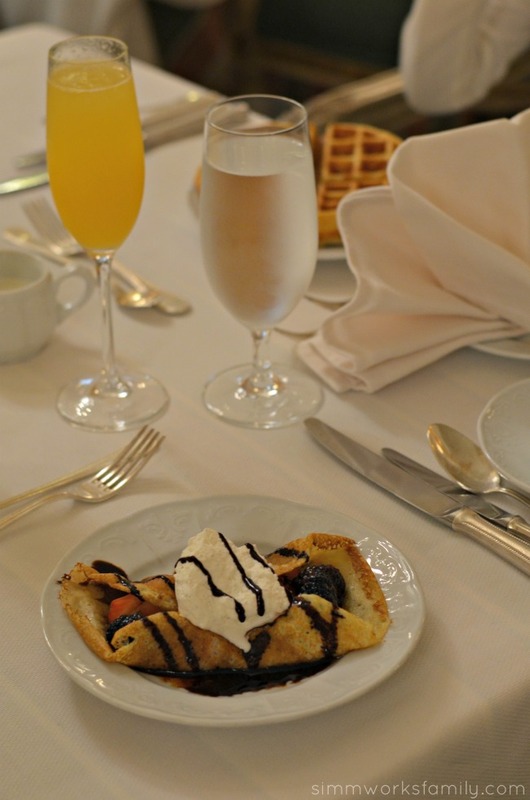 And once the elevator doors open into the beautiful Fontainebleau and Versailles Salons and you walk into the gorgeous setting where they host brunch, you’re immediately relaxed and ready for a wonderful meal. We were seated at our table and immediately greeted by our amazing server, Juan. He took care of us the whole morning and made sure that my mimosa glass was full and my mother-in-law and daughter had everything they needed. I knew we were in for a great time when he told my daughter that she was definitely old enough for a glass to drink her orange juice out of. Her little chest puffed up and she drank her OJ like a pro. Now I’ve been to many brunches in my 32 years however none have stacked up to the selection that The Westgate Hotel has. The choices you’ll have to make when you first walk through can be quite hard. We had to take a lap around to view the selection first and then my daughter stopped at the crepe and waffle station. We watched with amazement as they made a delicious crepe for me and then flambeed some berries to nestle inside the crepe. Then they made my daughter a delicious belgian waffle with warm syrup. We then enjoyed some delicious seafood and meats from their vast array of choices. One of my favorites? The shrimp empanandas and crab cakes. Wow! The oysters rockafeller were also outstanding. 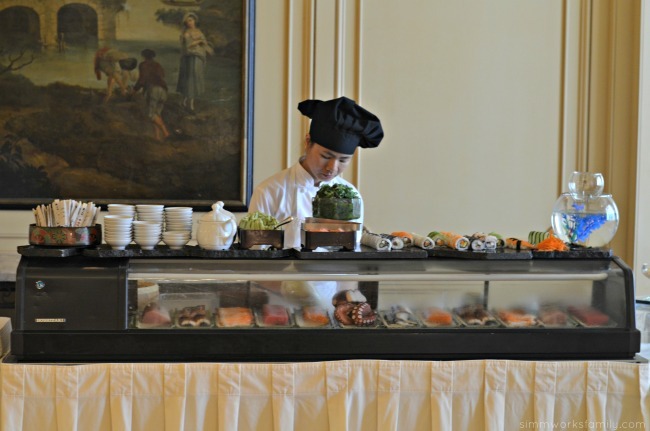 And while we didn’t make it over to the sushi bar this time, I cannot wait to try it out when we visit next! As soon as my daughter walked to the desserts, her eyes got real big and she turned to me as if asking if she could really try whatever she chose. 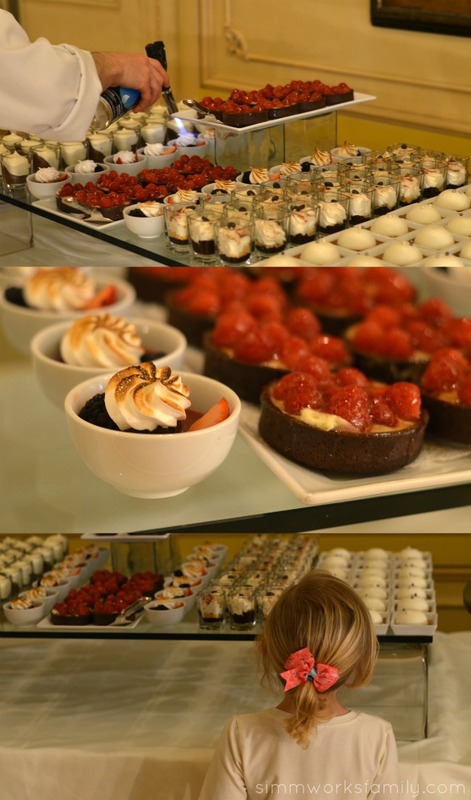 That childish joy that she experienced was exactly what I felt as an adult walking up to the dessert selection. 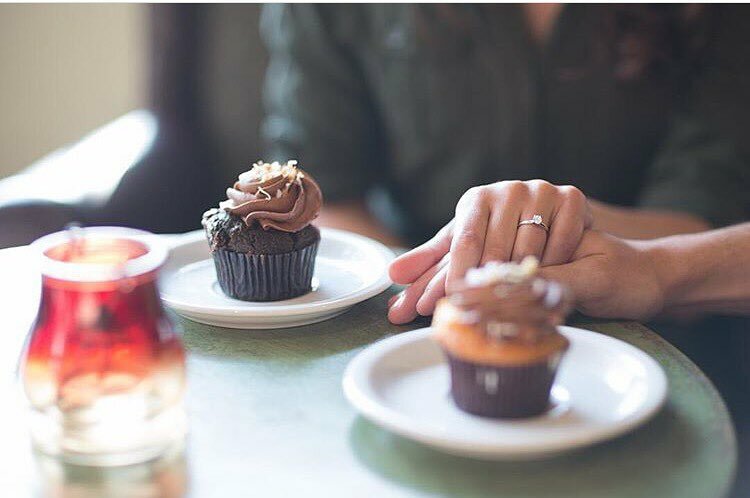 From an amazing lavender panna cotta, to a chocolate hazelnut pyramid cake to many more scrumptious selections, our sweet tooth was fully satisfied. 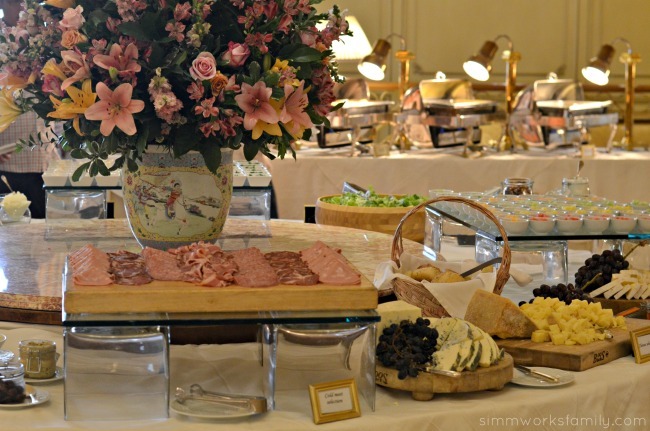 The Westgate will be offering a Mother’s Day Champagne Brunch on Sunday, May 8! 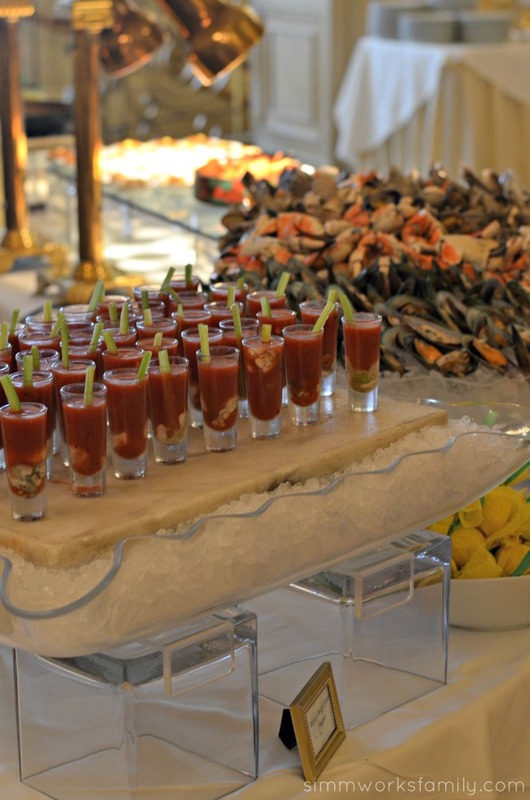 Served in the hotel’s beautiful Fontainebleau and Versailles Salons, brunch will feature made to-order-omelets, fresh seafood, gourmet plates, carving and crepe stations, baked breads, pastries and a variety of gourmet desserts. In addition to the delightful unlimited feast, the Imperial Bar will serve freshly squeezed juices and endless champagne, mimosas, Bloody Marys and margaritas. 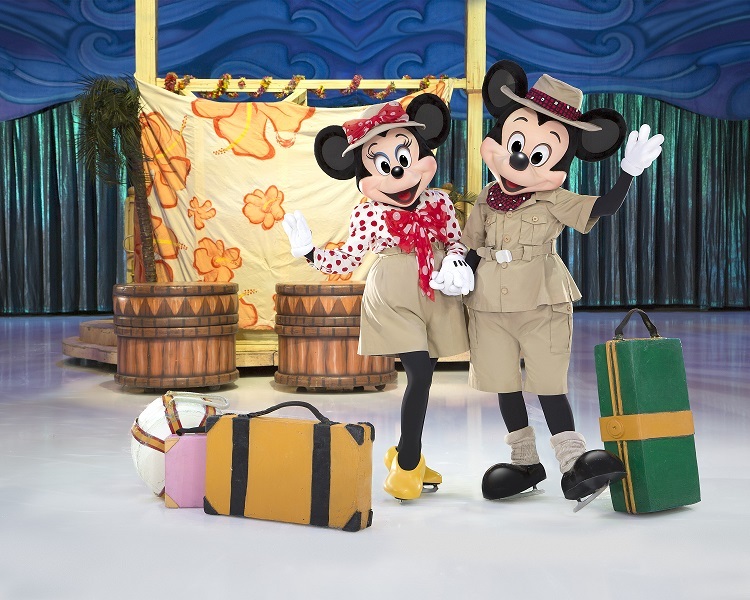 The price is $79 for adults and $39.50 for children under 12 (plus tax and gratuity). Tickets for Mother & Daughter Teas can be purchased here. 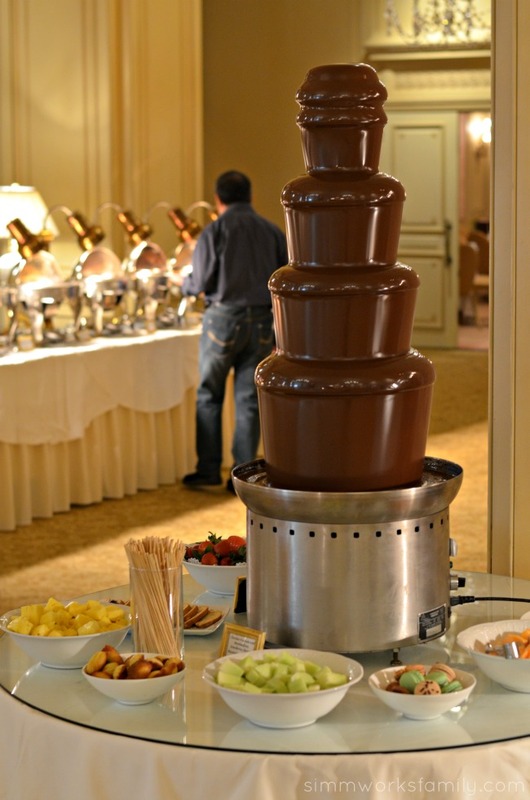 Mother’s Day Champagne Brunch reservations can be made by calling 619-557-3655. The Westgate Hotel is an iconic property in the heart of downtown San Diego designed to rival the mythical palaces of Europe. From its 223 elegantly appointed guest rooms to the contemporary cuisine of the award-winning Westgate Room, guests truly experience a memorable difference while enjoying European décor, attentive service, exquisite cuisine and artistic cocktails. To reserve an overnight stay at TheWestgate Hotel, visit www.westgatehotel.com or call 800-522-1564. Thank you to the Westgate Hotel for hosting us. When I find things that make my life easier, I want to climb onto the roof and shout it out to everyone. So when I was invited to try out Dream Dinners in Encinitas and see what it was all about, I couldn’t say no. And not only did I find an awesome place to enjoy some me time, I was able to check a few things off my list in a short amount of time. 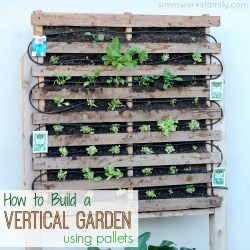 I’m a huge believer of using the tools and resources out there to make our lives easier. I also believe that everyone should know their strengths and weaknesses. And when you have a weakness, you should try and find a way to create strength. I love cooking. 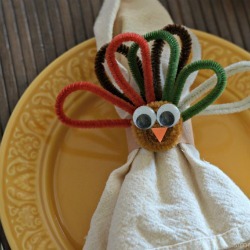 I love to eat what I make and enjoy seeing my family around the dinner table enjoying a meal that I made. However with an increase in work hours and a crazier family schedule, I’ve found that the one thing I don’t have is time to prep meals. That includes finding time to grocery shop (although I do love me some Amazon Prime Now and Amazon Fresh!). But even when I do get groceries delivered to our door, I still have to prep it and come up with a dinner plan. 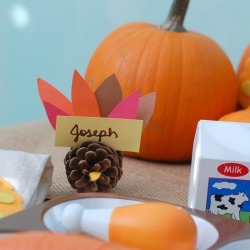 But even with the best of intentions I find myself running around 10 minutes before my husband comes home trying to find some 15 minute wonder to make and serve to the family. Or I call the husband and ask him to pick something up. That’s when Dream Dinners stepped in and opened my eyes to how easy meal time prep could be with a little preplanning. And a little letting go. Just like I gave in and hired a maid service when I realized I am horrible at keeping up with the house cleaning, I also realize that I need help in the kitchen too for those nights that a conference call runs late, I’m still working on a project, or I have a meeting at my son’s school. And having a meal prepped and ready to go in the fridge, with little to no prep work on my end is making my life a whole lot easier. 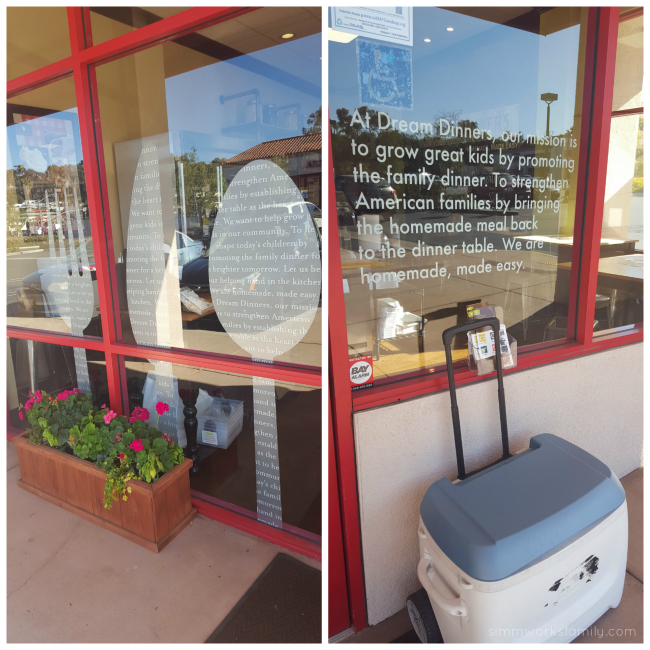 Founded in 2002, Dream Dinners enables guests to choose from seasonal, rotating monthly menus and prepare the dinners in-store without the hassle of planning, shopping and chopping. 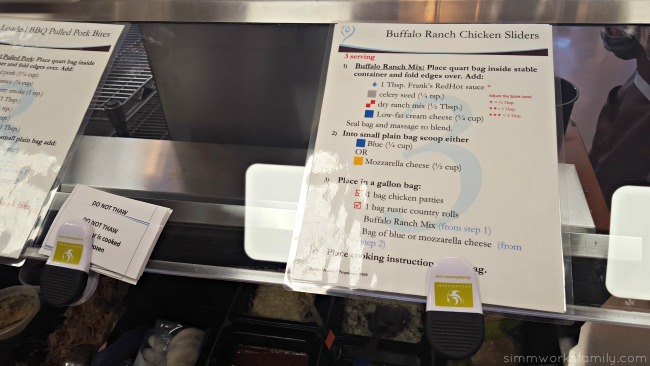 They lay out the ingredients in an easy-to-follow format so you can assemble a month’s worth of meals in about an hour. You can get a feel for the DreamDinners experience in this video: https://www.youtube.com/watch?v=E-4Cu9epiAA. As soon as I came in, I dropped off my purse and headed to grab an apron and wash my hands. Then I grabbed my list of meals that I’d be preparing that day and got to work. 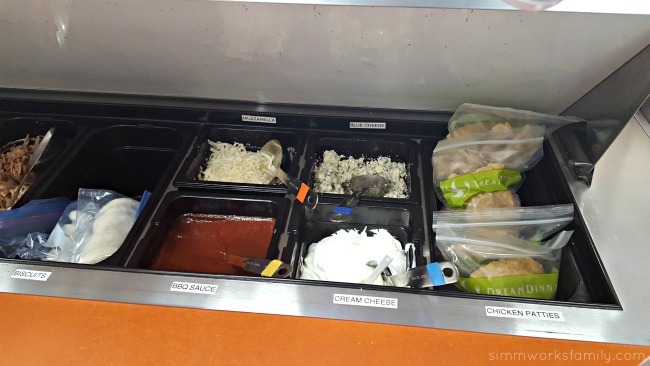 I went to the station for my first meal and looked over the instructions. I simply went down the instructions list and added ingredients into the small bags provided to create each “layer” of the meal or recipe. 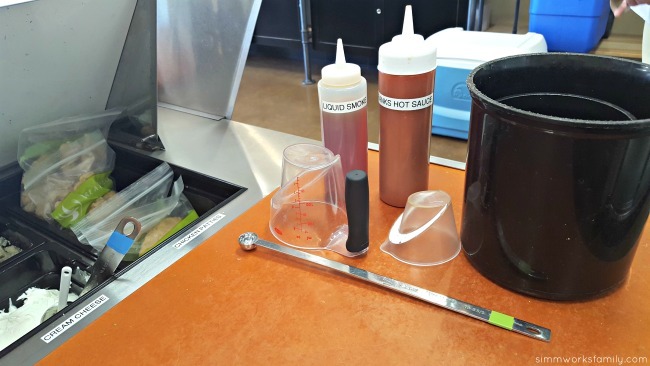 All of the tools I needed were right at the station ready to use including measuring cups and spoons as well as all of the ingredients I’d need. When I had all of the components together, I added everything to a larger bag and popped in a recipe card so I’d know what to do once I got home. After each meal was in it’s bag, I placed it in the fridge to stay cool while I finished the rest of my meals. I repeated this process until all of my meals were done, washing my hands in between each meal prep. When you first walk into Dream Dinners, the helpers there take you through the process. You aren’t just left alone to figure it out, you have a helper there along the way for any questions you might have. Since I’m eating a different meal plan than my family, I could simply omit ingredients I wouldn’t eat or substitute another ingredient. I could also note on the bag if I needed to add anything at home. For example, they have low fat versions of certain things like cream cheese. So I noted what bags I needed to add full fat cream cheese to since we don’t usually eat the low fat versions. And not only is it easy to customize your meals, you also get to choose what meals you prepare from a huge list of meals that are on a rotating basis each month. So one month’s menu will never be the same as the previous month. That means I get to try out a lot of fun options with my family. And each time I go to Dream Dinners, I can get a taste for one of the latest menu items for the next month after I’m done! When I got my meals home, I took the three I knew I’d make in the next 5 days and put them in the fridge. All of the others went into the freezer for another week. 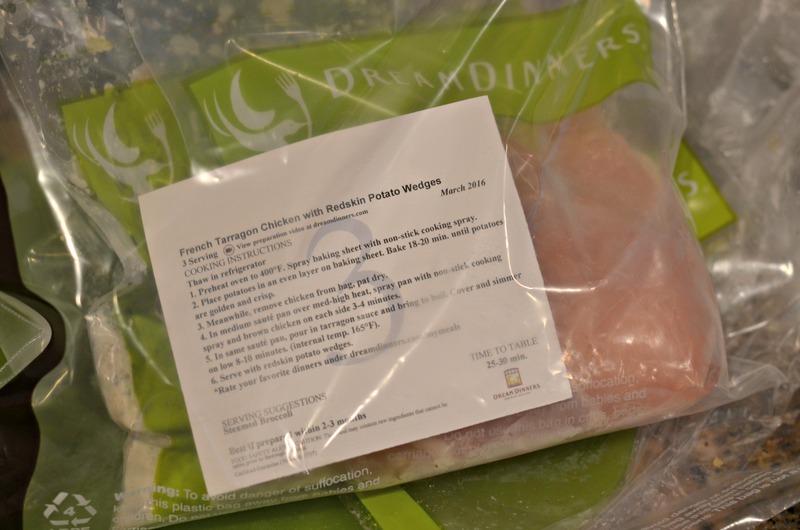 It’s recommended to pull the meal you want to enjoy from the freezer and into the fridge the night before so it has time to thaw out. But there is also thawing options available in case you forget like I have. And while sides don’t come with the meals, Dream Dinners has a huge fridge with sides and dessert options you can add to your meals. Or you can choose to add your own sides. For the French Taragon Chicken with Redskin Potato Wedges meal, I added fresh asparagus and just roasted it when I roasted the potatoes. So easy to throw in when everything else was cooking. 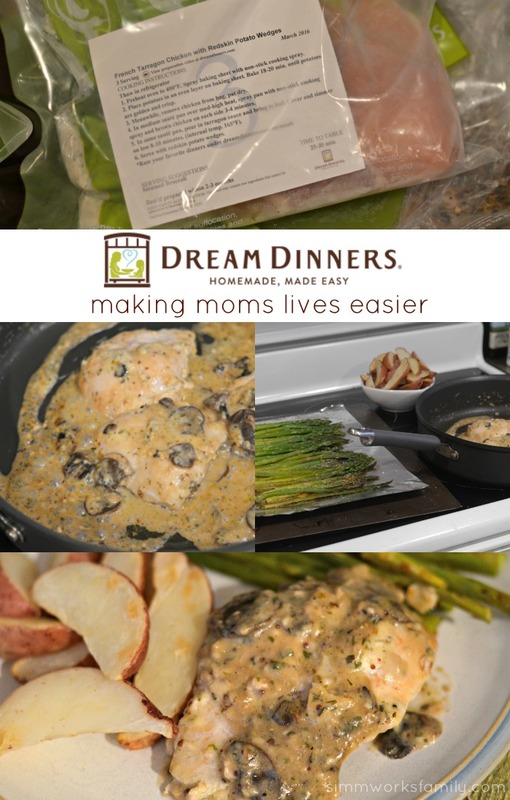 Dream Dinners is a great option for those parents who might not have the time every night to completely prepare and cook a homemade meal for their families. I love that I now have a (cheaper) option at my fingertips for homemade dinners to take the place of calling my husband and asking him to bring home fast food. And? I love that I can head out to Dream Dinners for a few hours to meal prep. I don’t have to make a mess in my kitchen AND I get a little me time on the weekends. Win-win! Have you tried Dream Dinners? What’s your favorite Dream Dinners meal? 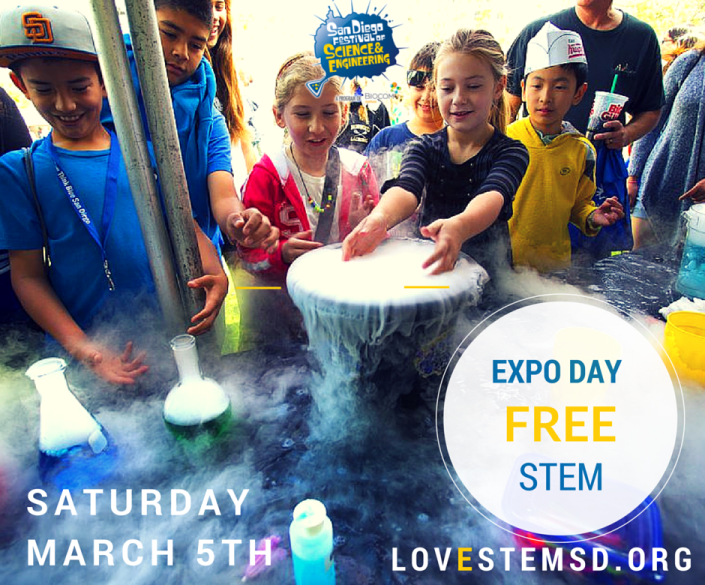 This post featuring the San Diego Festival of Science and Engineering’s Expo day is sponsored. Excite your mind at the San Diego Festival of Science & Engineering March 5-13. 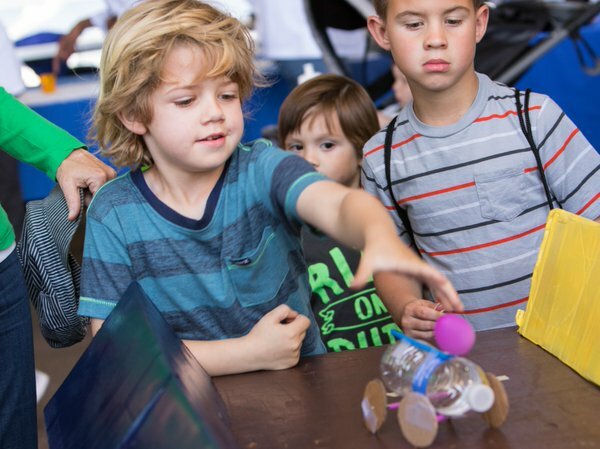 The San Diego Festival of Science & Engineering’s EXPO Day is Saturday, March 5 from 10 a.m. to 5 p.m. and kicks off a celebratory week of learning interaction and behind-the-scenes opportunities for kids in kindergarten through 12th grade and their families to ignite the love for all things STEM. Join us at PETCO Park for a FREE day of fun for the entire family. Visit with more than 130 local businesses, corporations and organizations providing interactive, hands-on science, technology, engineering and math (STEM) exhibits and activities to budding K-12 science lovers, but everyone is welcome. EXPO DAY is free and open to the public. Now in its eighth year, festival organizers are expanding their festival event schedule to appeal to adults ages 21 and up, to continue their passion for STEM education. Also new in 2016 is the “STEM in Your Backyard” series, which consists of mini versions of EXPO Day in diverse communities across San Diego, including Vista, Barrio Logan, Chula Vista, City Heights and Downtown San Diego’s East Village. 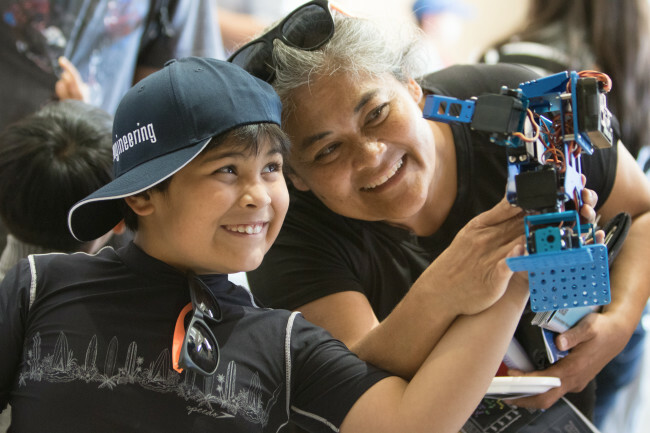 This new series will invite local families of all backgrounds to experience the festival and STEM exhibits in diverse neighborhoods across San Diego County. The San Diego Festival of Science & Engineering website has a complete list of Festival Week events. Many of the activities are free and can accommodate school groups, scout troops, and other individuals, students and families. Go to lovestemsd.org for complete details. Is your child interested in STEM subjects?